When healthcare organizations make significant investments in EMR systems, they expect to take advantage of various features, and ultimately improve patient care, clinical outcomes, and operational efficiency. 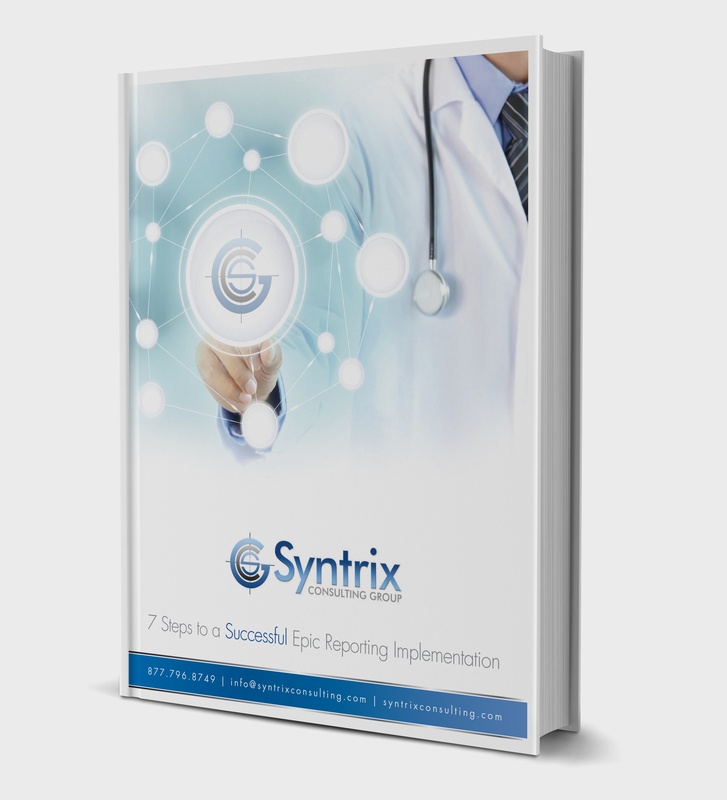 At Syntrix Consulting Group, we develop and deliver Healthcare Reporting Training that equips Report Developers with the essential skills they need to effectively report on all clinical, financial, and operational activities in the organization. We also offer on-site training and online virtual classes (or a combination of both), so that Report Developers can make the best use of their time, while organizations can access the world class Healthcare Reporting Training they need in a way that fits their budget. To learn more about our Healthcare Reporting Training solutions, contact us today for more information and pricing.